Don’t be deterred by the lengthy cooking time of this recipe, you will be rewarded with the most moist, flavorful pork ever. 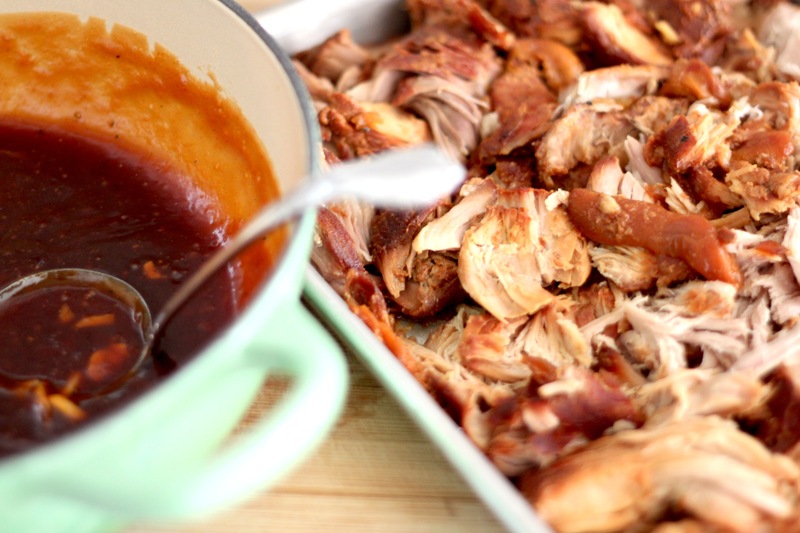 Couple this with the apricot molasses barbecue sauce which crisps and caramelizes the pork and you will have yourself some amazing pulled pork, perfect by itself or in sandwiches the next day – it’s the gift that keeps on giving. The pork is breaking apart, just as it should be. I prefer semi-large chunks but you can shred it more fine it you prefer it that way. Spoon the sauce over the top and place it in the oven. Pretty much incredibly delicious and totally amazing as leftovers – pulled pork sandwiches, anyone?! In a large dutch oven, place pork butts and remaining ingredients; cover and cook for 6-8 hours or until pork breaks apart easily. 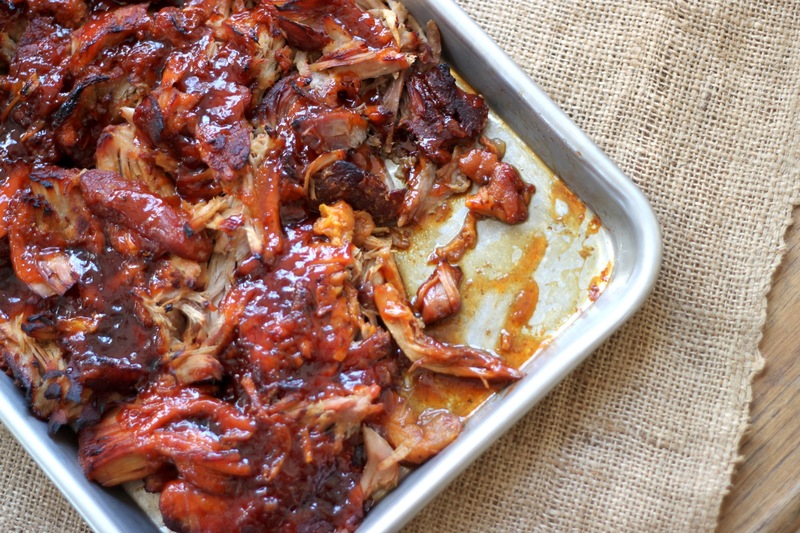 While pork cooks, make your barbecue sauce. In a medium saucepan, combine all of the ingredients except the salt. Add in 1/2 cup water and bring to a boil making sure to stir well. Remove from heat and let cool. Set aside. Remove dutch oven from the oven and turn the oven on broil. 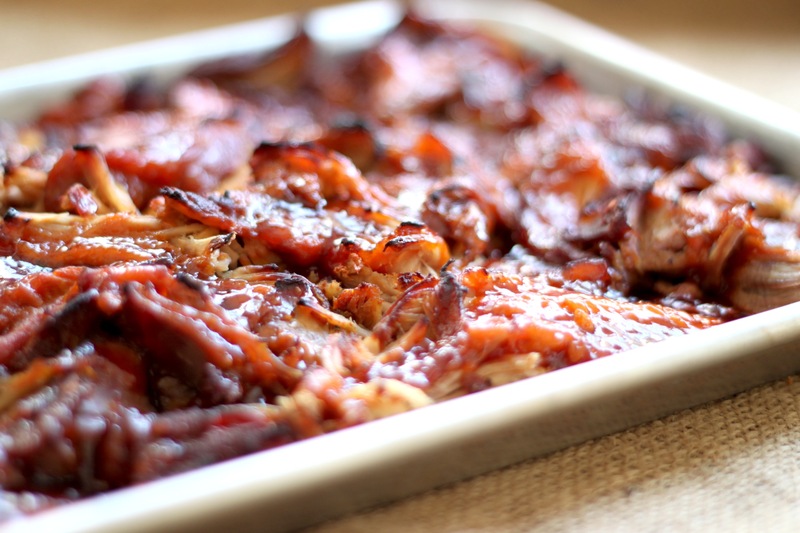 Remove pork pieces (it will break apart) and place on a large baking tray. Drizzle the barbecue sauce over the top and place in oven on the top rack to broil for 10 minutes or until some of the pork begins to crisp and caramelize. Remove and serve immediately. Fantastic recipe. It does take time but so worth it. The first time I made this, I didn’t include the beer because it was Sunday and stores cannot sell alcohol until noon and I was anxious to get this going. The second time I made this, I forgot the beer and didn’t want to run back to the store. Both times it was AMAZING!! I’m going to try again with the addition of the beer (will add it to my grocery list in BIG letters, lol) & see if I can tell a difference. Everyone at my house said this was a make again & again & again! Sherry – I’m so glad you enjoyed it and that everyone approved! Makes me so happy 🙂 Thanks for taking the time to come by and comment – so appreciated. Hi Simon! 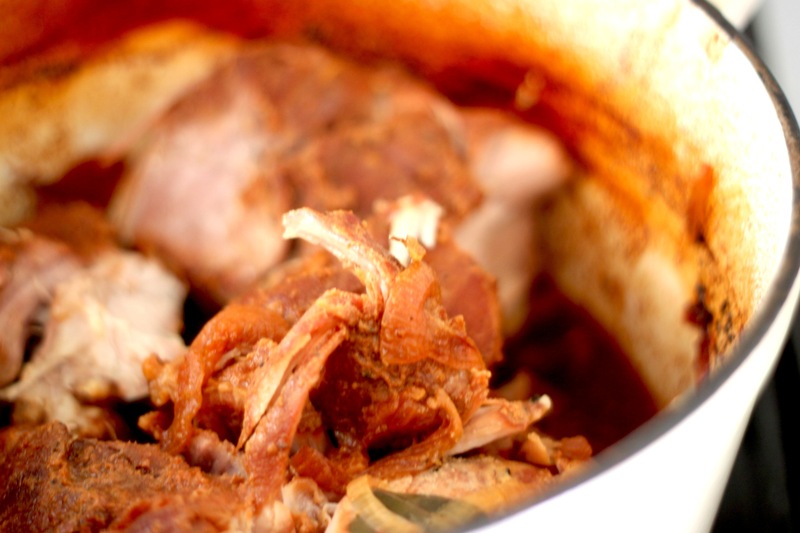 You can’t go wrong with slow cooked pig! It just falls apart. I hope you get to make it soon! How would I do this in a slow cooker? Hi Gail – thanks for reaching out and sorry for the delay in response. The answer is yes. The key is to shred it after its cooked and put it under the broiler so the pork and sugars in the barbecue sauce can caramelize. 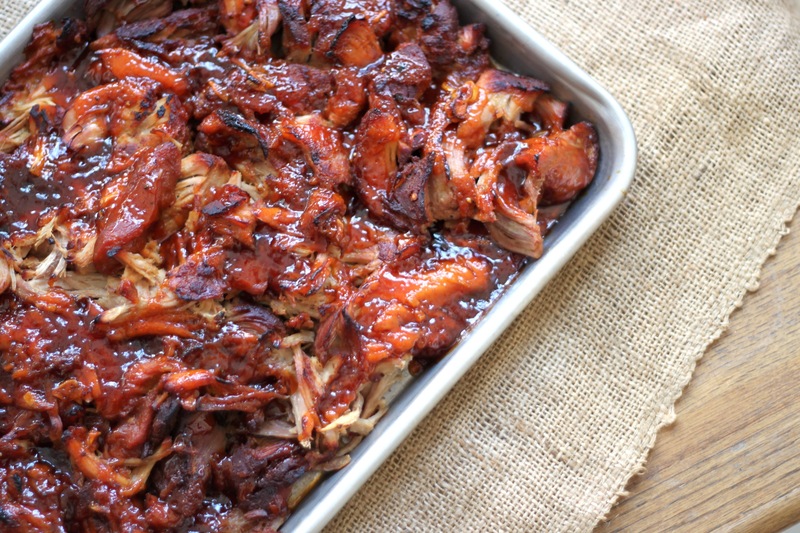 I can 100% attest to using a crockpot for this delicious pulled pork recipe. I’ve probably made this 10 times. My family loves this and it’s so tender. Just like Jessica said, when it’s done, shred( I use a wood cutting board) then place on a cookie sheet, pour sauce all over and stick under broiler. Watch the time under the broiler so it doesn’t burn – just so it caramelizes. Incredibly good! We did not have ground cloves so we substituted with garam masala. Delish! We adjusted the ingredients to our taste and recommend doing the same for the BBQ sauce. It can take it! Highly recommend. We served with sweet corn and cole slaw and it was a perfect summer meal. Awesome Melissa! So glad it you liked it and your substitutions sound delish!